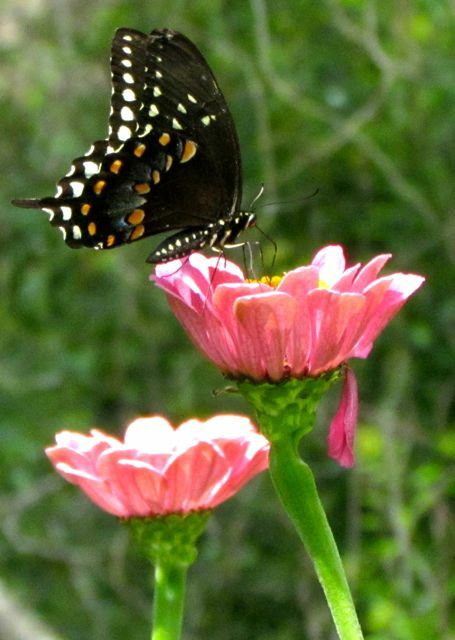 Spicebush Swallowtail stops for a drink. I’m seeing a variety of reds in my landscape these days, most of it not attributable to leaf color — that will come later. Red flowers and fruits — and related colors in that family — are visible in nearly every corner of my yard. I think of them as stop signals; they alert me to slow down and linger with the lovelies in my landscape before all that beauty fades. Ripening seeds are also sporting red colors, signaling wildlife that fruits are ready for consumption. 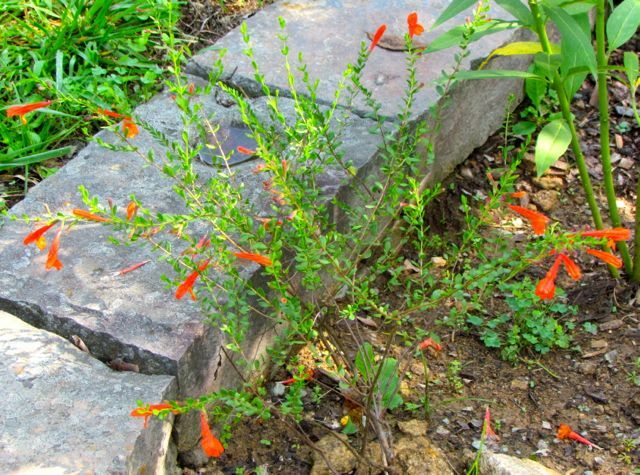 Vermillion spires of Cardinal Flowers set fire to shady spots on my floodplain and random, self-sowed corners of perennial beds. 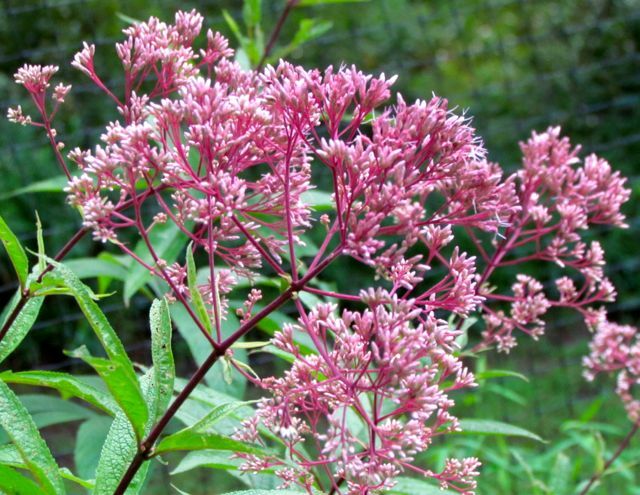 Magenta heads of a cluster of late-blooming Joe Pye Weed glow in a spotlight beam of sun that managed to pierce the dense canopy. 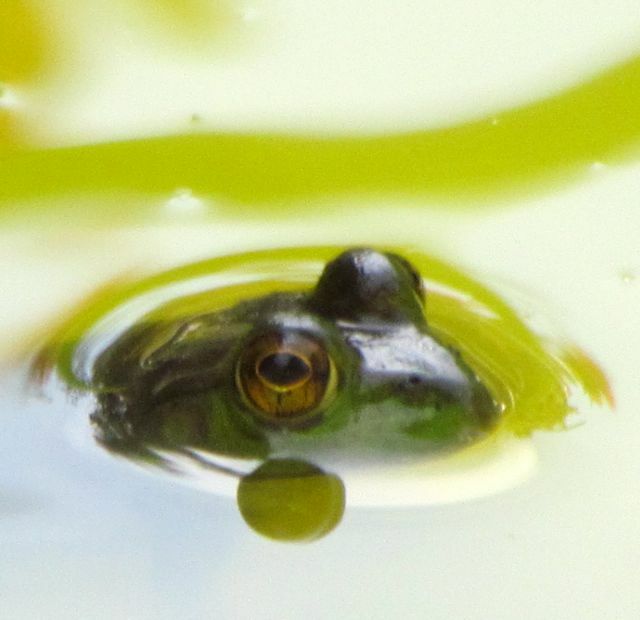 Green frogs float on my green pond, their bulging eyes watching summer’s waning as they seek unwary winged meals. In this year of few butterflies, Spicebush Swallowtails are the most common large butterfly in my landscape, possibly due to the abundance of native spicebushes tucked under the towering canopy trees. 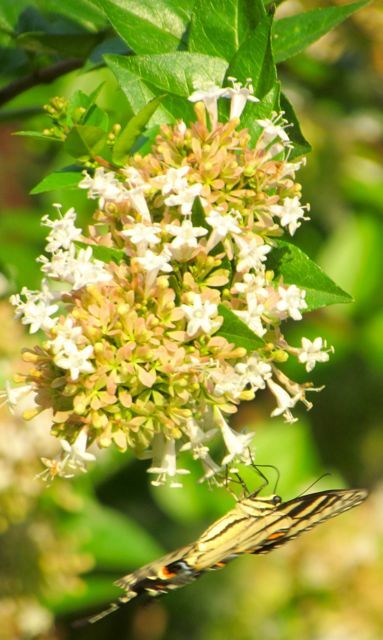 An occasional Eastern Tiger Swallowtail floats through the humid late-summer heat, unable to resist the potent perfume of the Chinese Abelia bushes dotting the sunnier parts of my landscape. 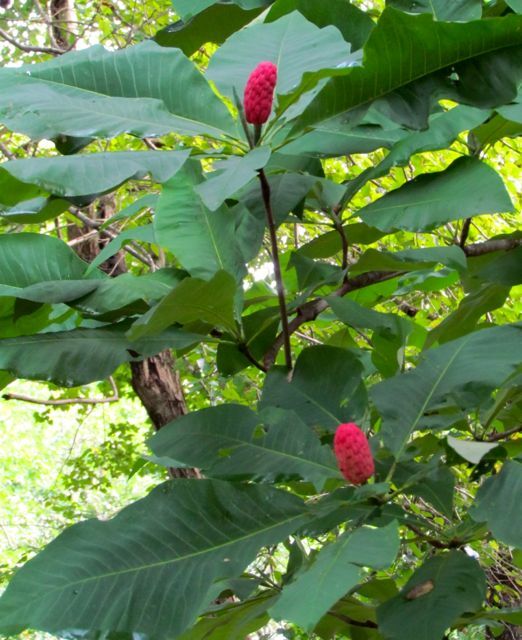 The native Umbrella Magnolia that thrives beside the creek produced quite a few seed cones this year. 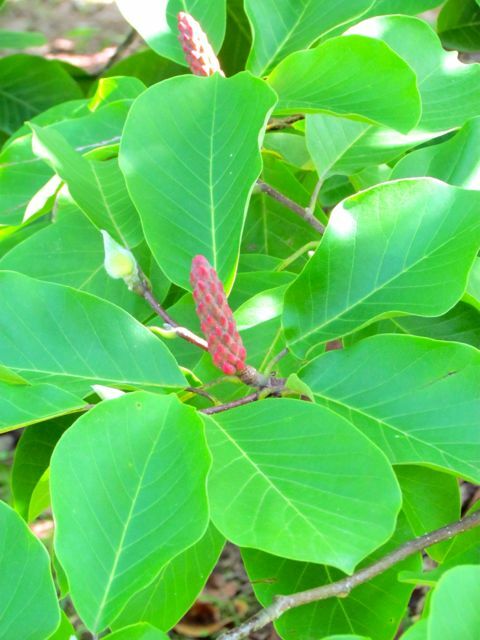 Even tucked into deep shade, the ripe cones stop my forward progress, demanding admiration. Native to the Sandhills region of NC, my Scarlet Wild Basil continues to produce abundant orange-red blossoms, drawing daily visits from hummingbirds, and admiring questions from visitors. 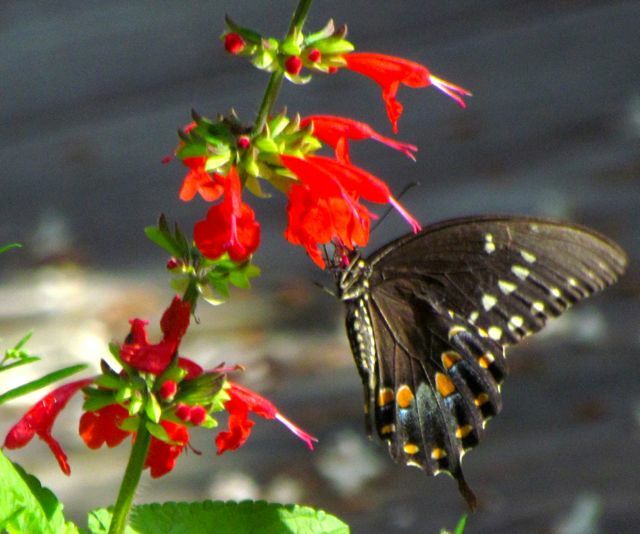 Like hummingbirds, Spicebush Swallowtails often hover as they feed, blurring my photographs as they rush to drink all they can before summer’s flowers disappear. 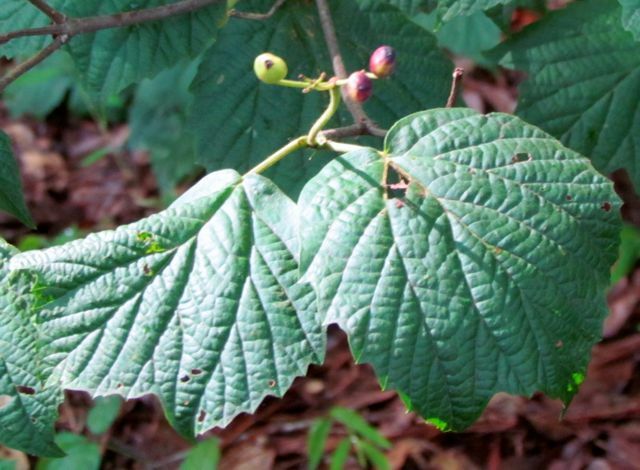 As soon as they are fully ripe, the reddened berries on native Mapleleaf Viburnum are devoured by wildlife. 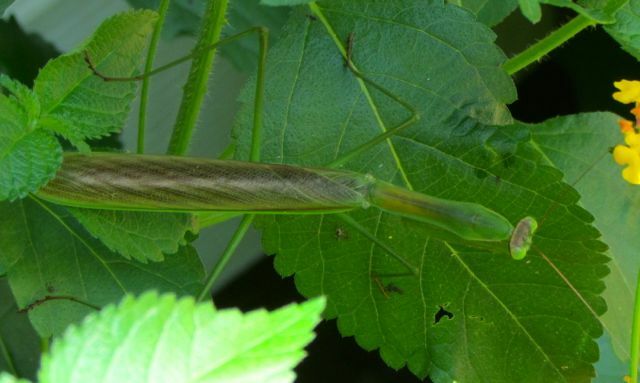 Slowly and methodically, the Praying Mantises in my landscape grow fat on the insect bounty attracted to summer’s blooms. 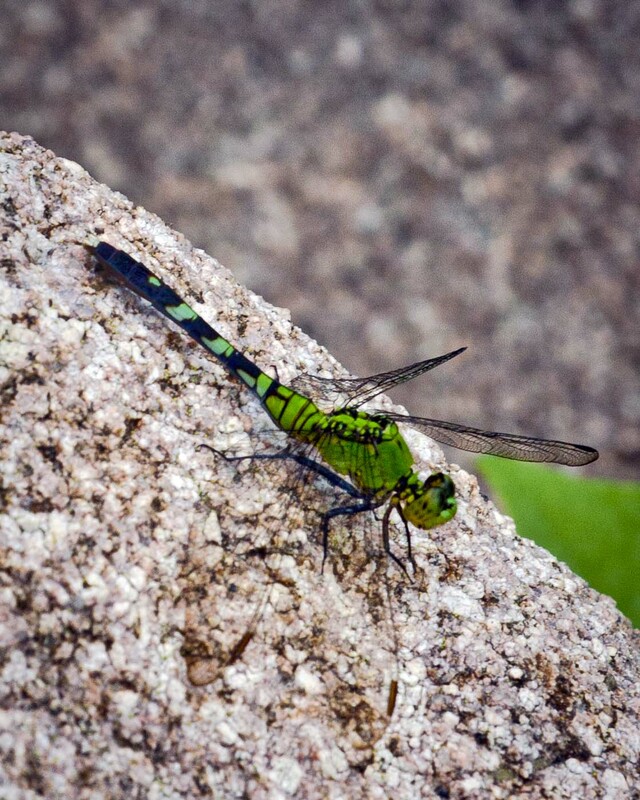 This one hunted from a large lantana beside my front door for three days, then moved on to new territory. 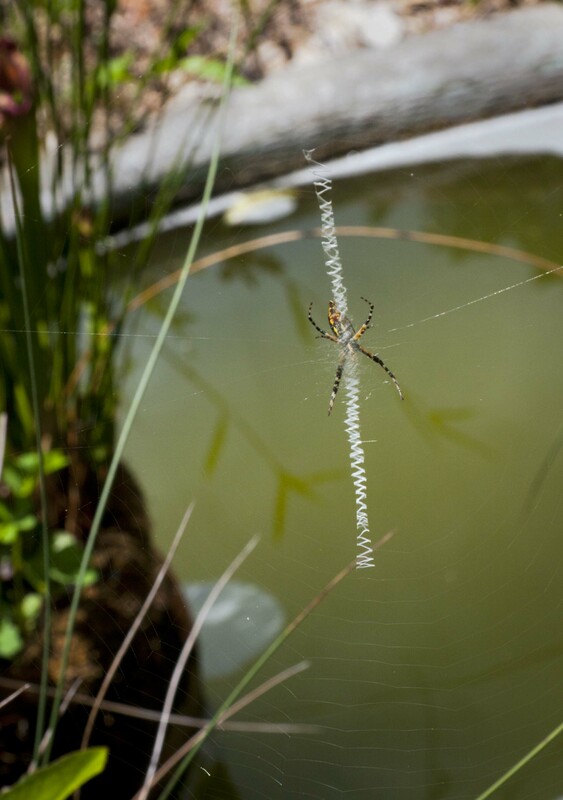 Everywhere I look, Nature’s signals are clear. Animals fatten, seeds ripen, blooms explode in late-summer splendor. All feel the changing angle of the sun as it makes its daily trek across the sky. Soon, too soon, cold air will descend from the North, browning flora, scattering fauna. But every gardener knows that winter sleeps are essential rhythms in Nature’s dance. The pauses make the crescendos that much more powerful. 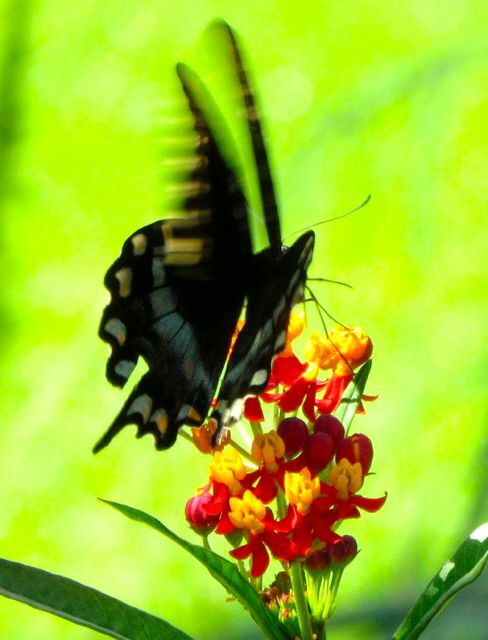 Many flowers are known as excellent butterfly attractors, and I grow many of them. 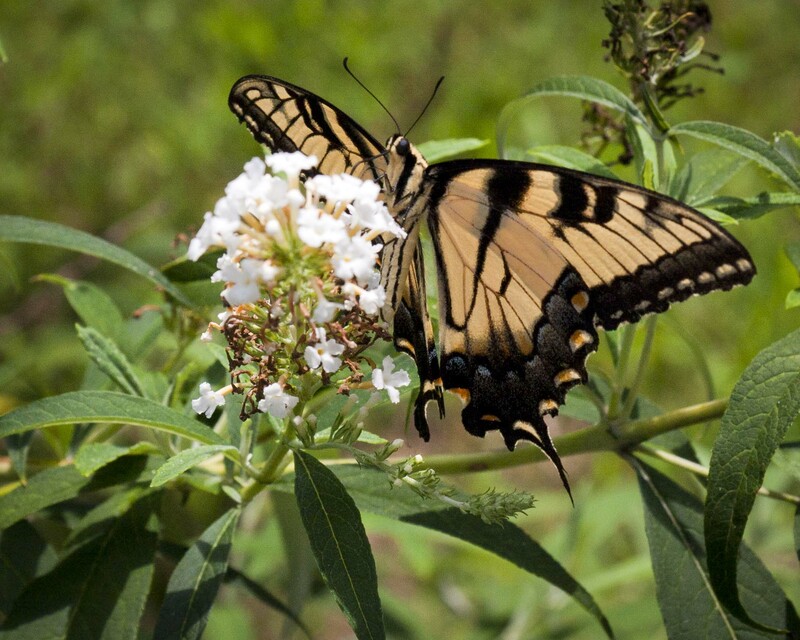 Native butterfly magnets are especially good, because they not only provide nectar for adults, but food for the caterpillar forms of these winged beauties. Because I do provide many diverse native food plants, I don’t feel guilty for finding a place for the all-time winner of the Butterfly Magnet Award: Chinese Abelia (Abelia chinensis). 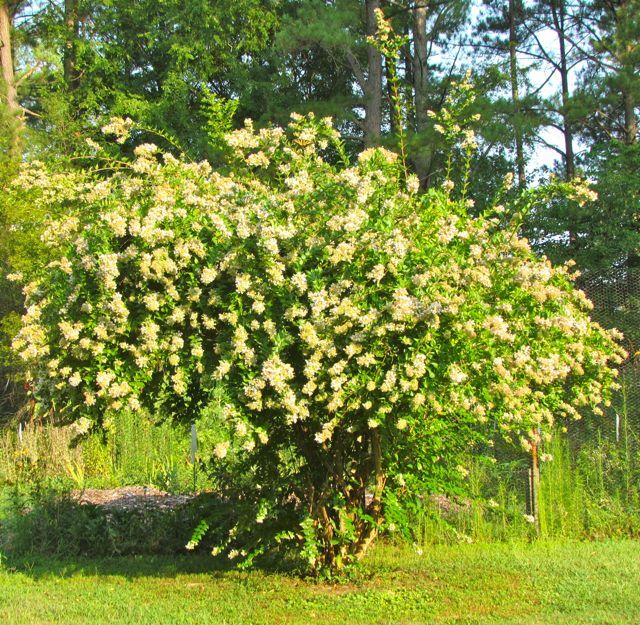 This shrub begins blooming in my Piedmont NC garden in early June. Right now, despite record heat and searing drought, it is at peak bloom — completely covered in clusters of pinkish-white, sweetly fragrant flowers that weigh down the branch tips, causing the blooming shrub to have an almost weeping plant form. The size of my mature specimen (eight feet high and six feet wide) is impressive enough in full bloom. But what makes it breathtaking are the zillions of pollinators that dance among the flowers from dawn to dusk. 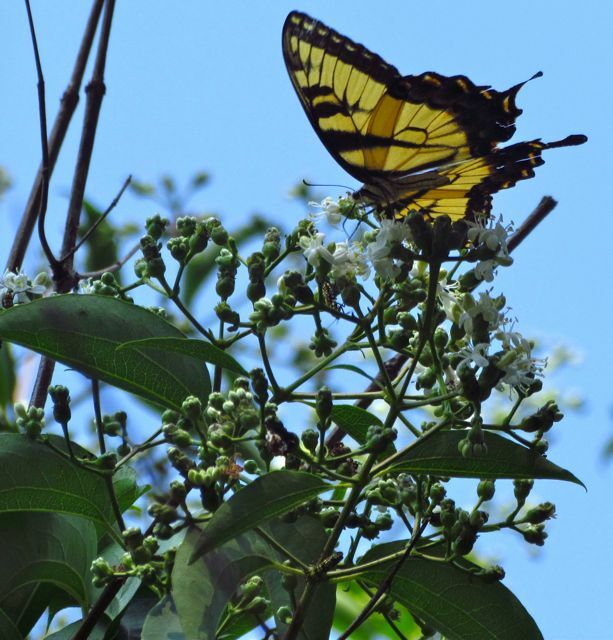 The flowers of this shrub reliably attract many more butterflies than the so-called Butterfly Bushes (Buddleia spp.). 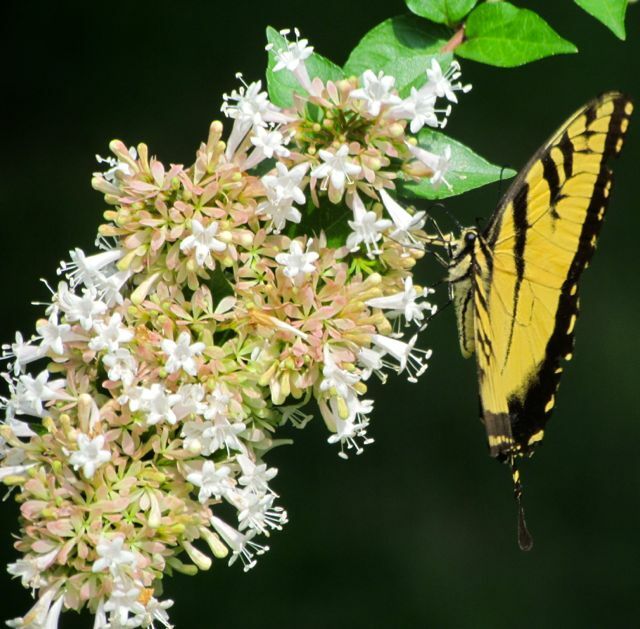 Often so many butterflies are fluttering among the flowers that the entire shrub appears to be moving as their colorful bodies float across it. Bees and sphinx moths love these flowers too. In fact, it’s hard for me to grab a morning sniff of perfume from a flower without disturbing some kind of pollinator that’s beaten me to the goods. See how the flower clusters weigh down the branch tips? As the flowers finish, the sepals persist, turning from green to a rosy mauve color. The sepals persist in the clusters through late fall. From a distance, it almost looks as if it’s still blooming even in November. I like to clip a few of these sepal clusters to add to fall flower arrangements. Flowers will continue to appear as long as the shrub is adding new growth. In wet summers (those long-ago times), my shrub stays covered in flowers until frost. During this dry, hot summer, growth has nearly stopped, and flower production appears to be waning. My shrub gets no supplemental water, and still it produces its sweet flower clusters. 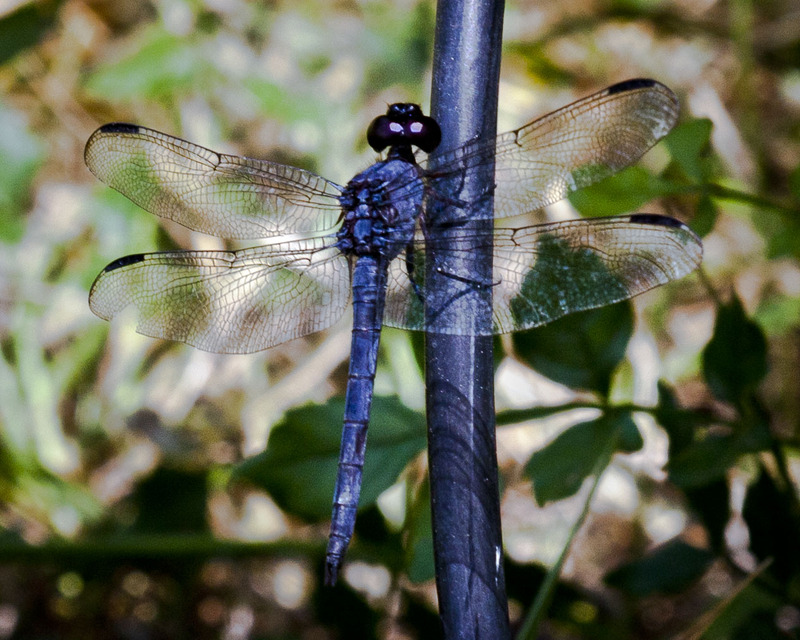 As heat and drought are becoming the new norms for summer Piedmont weather, plants that can flourish under such conditions become increasingly important. Chinese Abelia has proven its merit in my yard. The butterflies and I agree: summer would be incomplete without this spectacular bloomer.